Authorities in southern Germany, Austria, and Switzerland have closed highways and some railroads due to heavy snowfall in the region, according to Fox News reports. Around 900 trucks were stranded during the snowfall and several hundred drivers left their cars hoping to find a warmer and safer refuge to wait until morning, Reuters reported. Nathu La is the shortest land route for trade between India and China. For the past three years, Indian traders had been asking the government to increase the number of traders and vehicles allowed to cross the border each day. 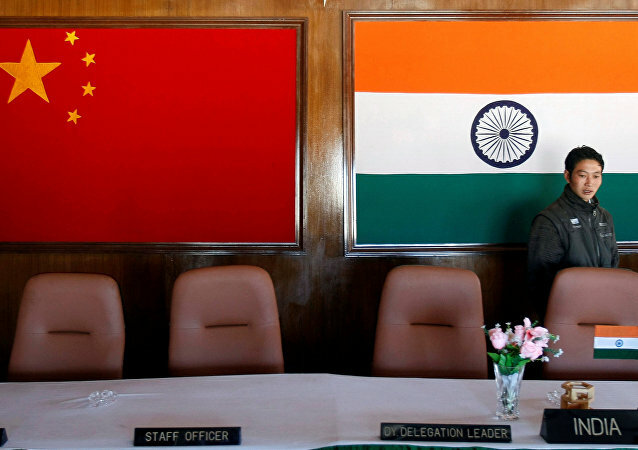 Last year, the border stand-off at Doklam resulted in a 90% drop in bilateral trade via this route. 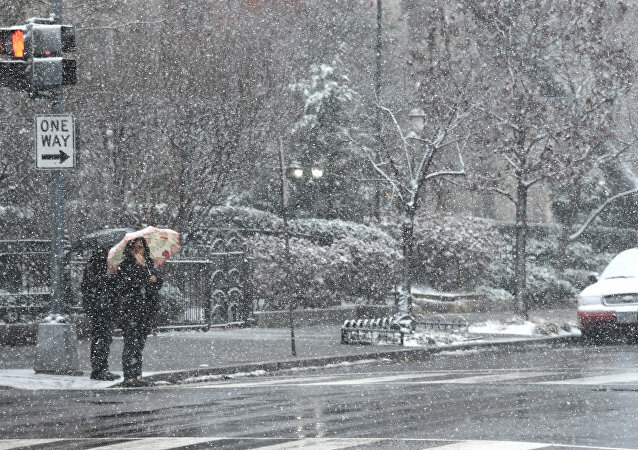 WASHINGTON (Sputnik) - United States government offices in Washington, DC closed due to heavy snow, the Office of Personal Management (OPM) said on Wednesday. 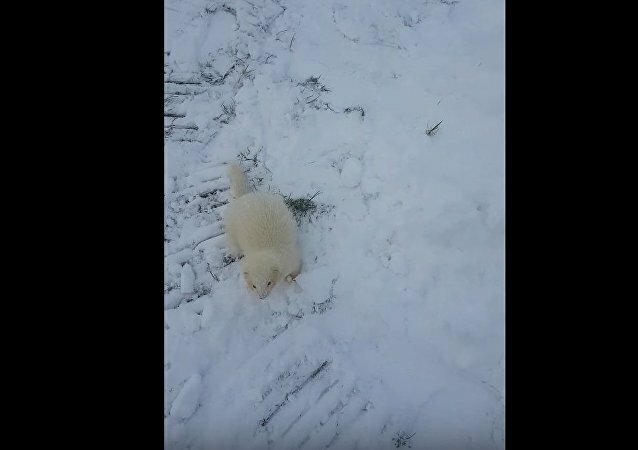 While the UK and Ireland are struggling to cope with consequences of the record snowfall brought by Storm Emma and dubbed 'Beast from the East,' this fluffy Irish resident, introduced to snow for the first time, just can't get enough of it. In the next few days, freezing temperatures will show no signs of ceasing in France; Paris traffic has been disrupted due to a heavy snowfall, according to meteorologists. 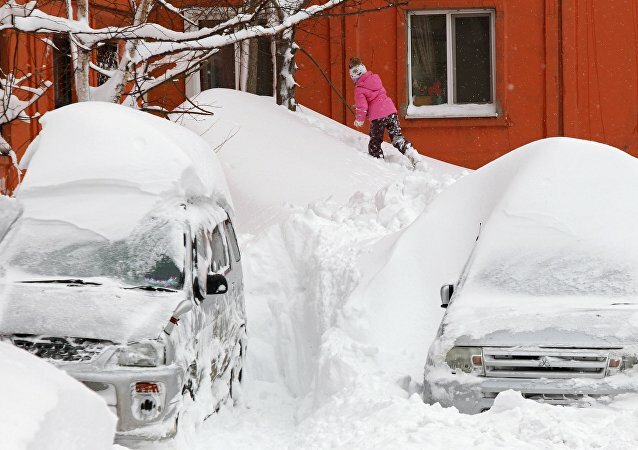 Heavy snow has struck the Moscow region, as people struggle to make their way through large snowdrifts. Local authorities efficiently cleaning away the intense falling snow have reported large traffic jams, stranded airport passengers, and dozens of fallen trees. Meteorologists warn that is only the beginning. A Japanese driver finds out the importance of cleaning the car before taking off during heavy snowfall the hard way, as wipers fail him midway through the trip. 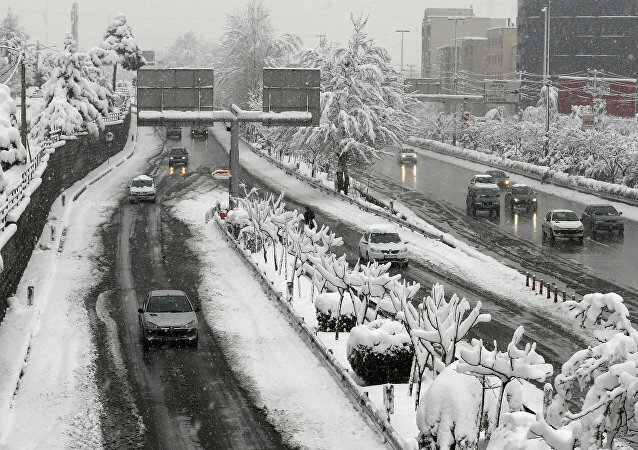 Heavy snowfalls in Iran that began on Thursday and continued through Saturday night have brought joy to ski-lovers and a lot less fun to drivers and municipal workers. The biggest snowfall in years has partially paralyzed Japan's transportation system and has led to scores of injuries. Emergency services have been working overtime in the capital Tokyo. DAVOS (Sputnik) - Heavy snowfall has blocked all traffic to the Alpine resort of Davos, where the annual meeting of the World Economic Forum (WEF), which brings together heads of state and business leaders, is about to start, a Sputnik correspondent reported Monday. 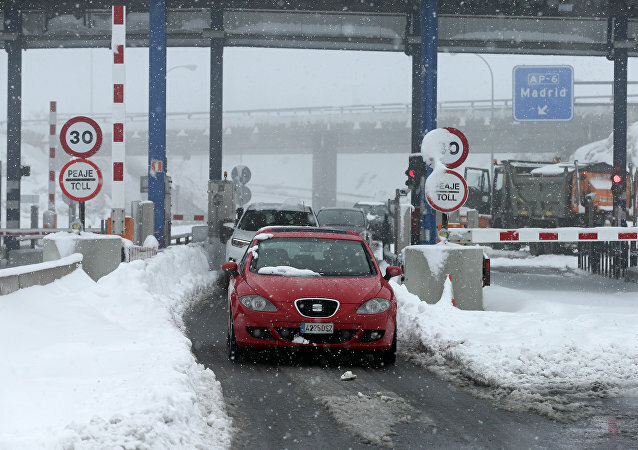 On Saturday, heavy snowfall cut off a motorway in Spain’s Castile and Leon region and prevented thousands of people from returning home after the Christmas holidays. The incidents took place on Friday, while the search and rescue operation was completed late on Saturday, the Hindustan Times newspaper reported. 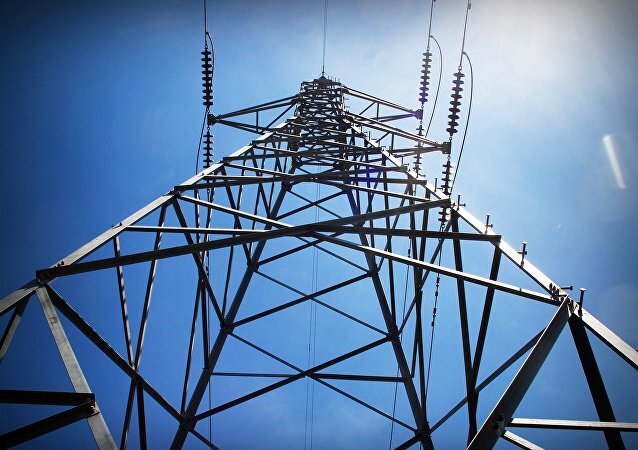 A two-year-old girl was reportedly among the victims, while two people were rescued. Local police have declared a snow emergency in Erie in the US state of Pennsylvania, asking residents to stay off the streets until the snow stops. 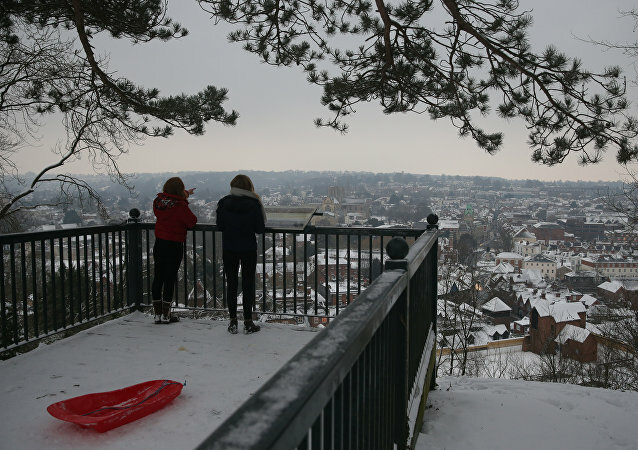 The National Weather Service warned that the snowfall will continue on Wednesday. The Independent reported that at least 50,000 passengers were forced to wait for the recovery of international air traffic departures as well as inbound flights. According to media reports, nearly 20,000 other travelers will have to stay in European airports. Twelve flights were delayed and 36 other were canceled in Moscow airports on Sunday morning amid unfavorable weather conditions.